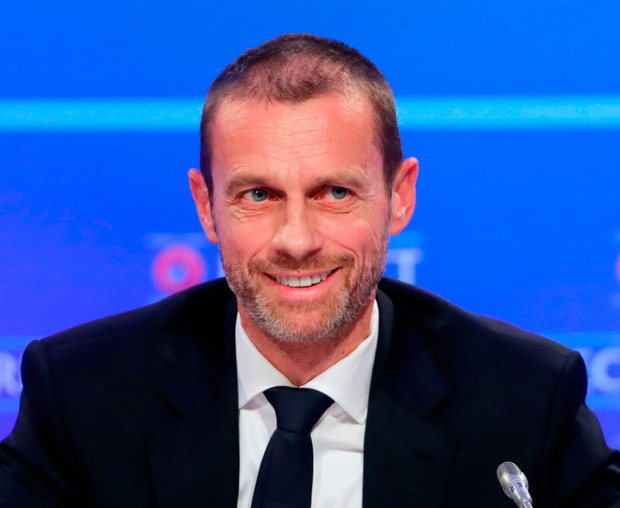 UEFA president Aleksander Ceferin has indicated that European football’s rulers will throw their weight behind the British-Irish bid to host the 2030 World Cup finals. The concept of a cross-continental bid involving Spain, Portugal and Morocco has been floated but Ceferin said he would not back that idea. “I will do whatever I can to have one European bid for the 2030 World Cup because that raises the chance of Europe hosting the finals,” he said. Ceferin also welcomed the decision of the FAI and IFA to come together and launch a joint bid for the 2023 European U-21 Championship finals. He was speaking after a meeting of the UEFA executive committee, which decided that Hungary and his native Slovenia will co-hosts of the 2021 version. Crucially, UEFA have confirmed that co-hosts will voth qualify automatically for the tournament. FAI chief executive John Delaney, who is a member of the UEFA executive, has indicated that the U-21 finals could be expanded from its current format of 12 teams.